Get a head start adding Agents to your Office account by importing them from our MLS data! The Agent Import tool allows you to select agents associated with your Office ID from our MLS data and import them into your account. Just fill in photos and additional contact details! 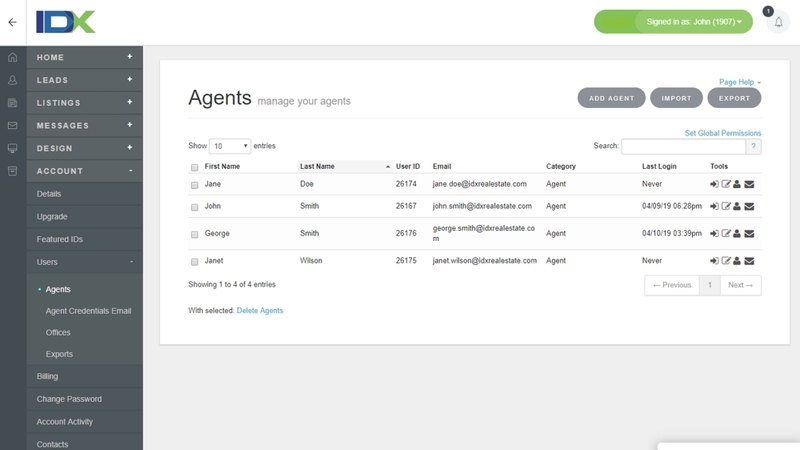 Manage all of your agent bio pages from within your account. Assign leads to your agents, and allow them to manage their own bios, leads, and listings!